The Headwaters of the historic Rio Grande River begins its 1800 mile journey to the Gulf of Mexico high in the beautiful San Juan Mountains of Southern Colorado. Winding its way down through picturesque canyons and rolling hills. 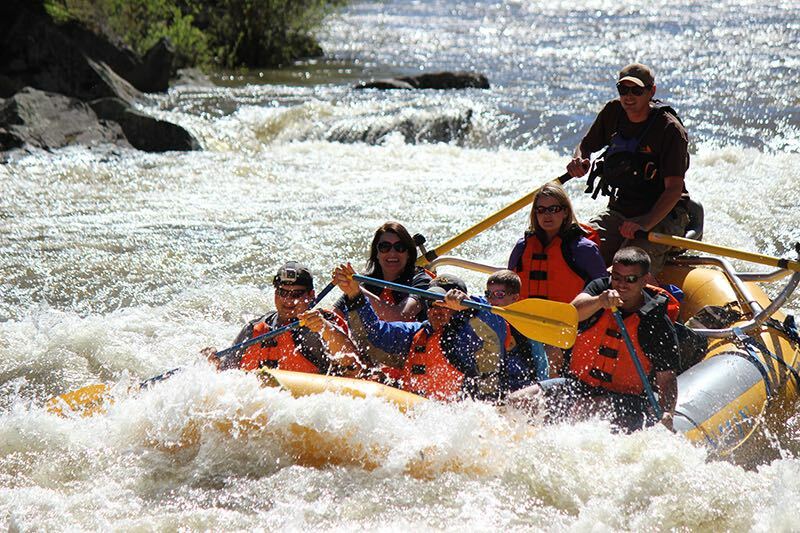 It provides some of the best river stretches for rafting in the state. 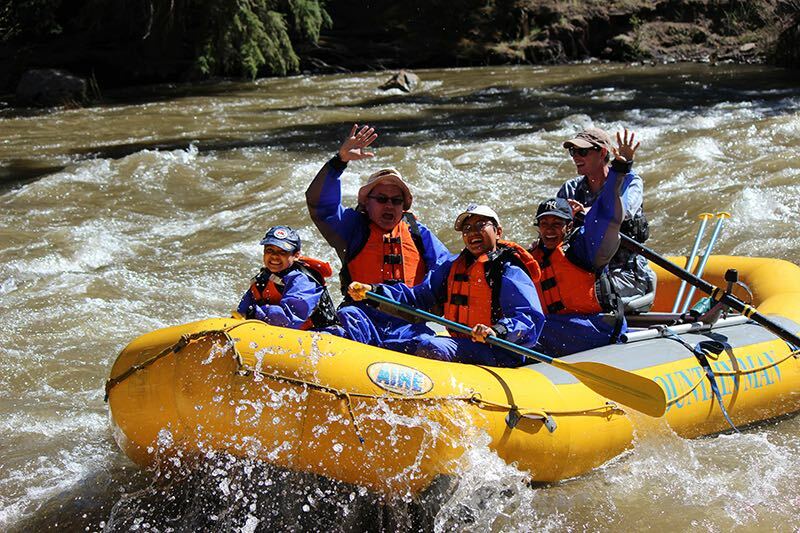 You can choose from gentle glides down the river on slow moving waters or to the excitement found in many of the white water rapids that flourish in the Rio Grange River. 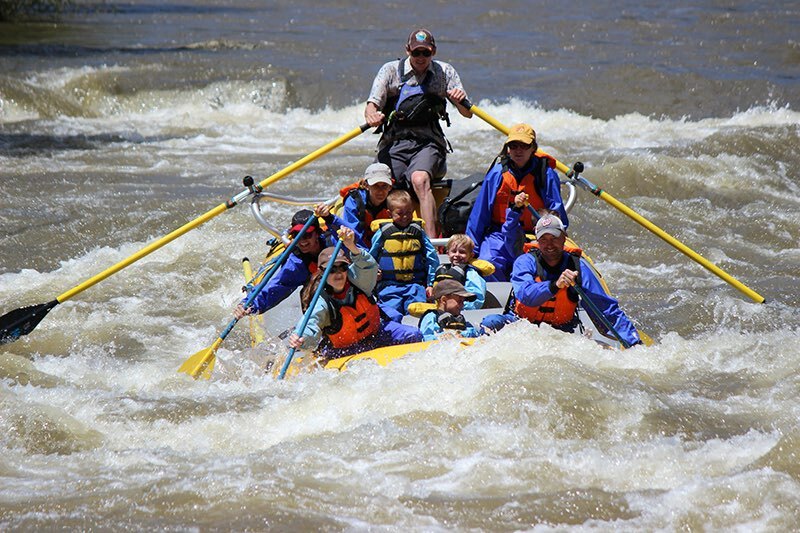 Located inside 8200 Mountain Sports at 30923 W. Hwy 160 in South Fork, CO, Mountain Man Tours offers half day guided river rafting trips through class I, II and III waves. They specialize in trips you can do with your entire family. They also offer custom group packages and rates for any size group, troop, family reunion and more. Mountain Man can also accommodate individuals with special needs. They go the extra mile to make your adventures one to remember. For more information or to book your guided tour, please call 877-873-1977 or visit their website. If you would like to plan your own rafting or water adventure, rental rafts, kayaks, tubes and even SUPs can be found at the following outfitters.